Note: This thread is 1168 days old. We appreciate that you found this thread instead of starting a new one, but if you plan to post here please make sure it's still relevant. If not, please start a new topic. Thank you! For the past few months my avatar has been an image of five keys ( this one , in fact). It's been a "hint" at something with which I've been involved since midway in 2011, via Dave Wedzik and Golf Evolution. It's been responsible for my "Embarking" thread and a few of the comments I've made recently. The long and the short of it is this: Dave Wedzik, with whom I work, was contacted to film a DVD mid-way through 2011. 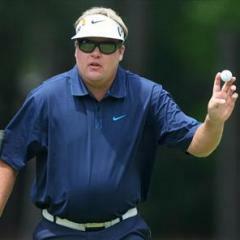 The premise of the DVD was to break golf down into four or six or five or three simple "keys" that demonstrate the commonalities of the best players. The keys had to be measurable and achievable, because try as you might, you'll never get some people to swing as fast as Dustin Johnson or Gary Woodland. Chuck Evans, Golf Magazine Top 100 Instructor and quite literally the guy who wrote the seventh edition of The Golfing Machine , was to be Dave's partner on the DVD. We'd previously spent time with Chuck at one of our Golf Evolution clinics in Phoenix. Little did we know he'd been sent to observe how we teach and if Dave specifically would be a good fit for a DVD. At any rate, we've determined that there are five simple keys® - hence the name of the entire system - to learning to play good golf, and we have the data to back this up, particularly with our continued work with technology. In fact, while at the show, we filmed segments in the Swing Catalyst booth to measure pressure. We've used AMM data, Trackman/Flightscope data, and more to corroborate our findings, as well as our experience seeing the swings of good and poor golfers. 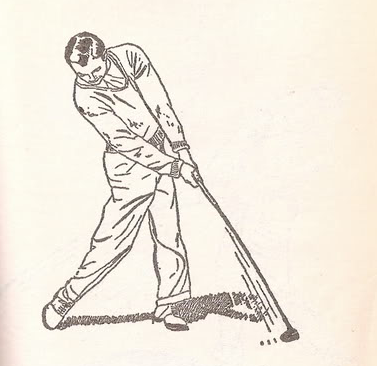 Steady Head - the average PGA Tour player moves his head one inch during his backswing and less on his downswing. Since virtually none of them move their heads forwards on the backswing, that means that for every guy who moves it two inches, there's a guy moving it zero inches. For every guy that moves it three inches, there are two guys who don't move their head one bit. A relatively steady head is important because it's efficient to turn our shoulders in a circle. If the circle remains relatively steady, contact with the golf ball becomes easier and more consistent. Weight Forward - Speaking solely of impact numbers, the average PGA Tour player has between 80-95% of his pressure on his front foot at impact. The average amateur has 55%. Oh, some amateurs get to 70 or even 75%, but many will be backing out of the shot and the 75% number comes earlier in the downswing. If we've maintained a steady head, then it becomes easier to get our weight forward at impact, and to do so properly . BTW, we have some numbers on the backswing, and while they measure pressure (you can't really measure "weight" in a dynamic system), they're surprising. Lots of pressure right at the top of the backswing. Flat Left Wrist - With a steady head helping the golfer to get his weight forward at impact, the third key becomes simpler. Keys 1 and 2 feed into Key 3. Great golfers deliver a good amount (not excessive, but enough) of shaft lean at impact. Though the driver is a specific case (ball position contributes heavily), throughout the set the best players deliver the shaft in such a way that it has not passed the line of the left forearm prior to impact. No good or great golfers "flip" at the ball a significant amount, and a flat left wrist helps to compress the ball to strike it "pure" every time. Diagonal Sweetspot Path - While the first three keys are built to ensure a pure, compressed strike on the golf ball, the last two get down to brass tacks in terms of actually controlling your golf ball. Golf is not played on a vertical or a horizontal plane, but rather, on a tilted plane. We swing the clubhead back, up, and inward. On the downswing we swing the club forwards, down, and out . The "up and in" and the "down and out" account for the "diagonal" nature of the sweet spot path, whether you're viewing the path down the line or from the player's perspective. Good golf is not played, contrary to what Johnny Miller says, with the club traveling "down the target line" for more than an instant. Regardless of the plane on which you swing, whether it's Jack Nicklaus's or Matt Kuchar's, you need to learn to deliver the sweetspot to the ball properly. Clubface Control - The holy grail. Even PGA Tour players fail at this more often than you'd think. Clubface control is simply the ability to control the clubface relative to the sweetspot path to produce a shot that both starts and curves as desired. In other words, if you play a pull-cut, you can't deliver the clubface pointing right at impact. Clubface control begins with understanding the ball flight laws and concludes with applying the principles to your golf swing by learning to control the clubface. We're very excited about this system and thus far everyone we've talked to has been very excited as well. Golfers are enthused because golf has never been broken down into something this simple before. They're excited because they know what they'll be working on. 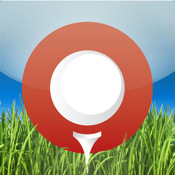 Golf instructors are enthused because this system will allow them to prioritize their lessons with their students. Both groups are excited because each of these five simple keys® is both measurable and achievable . Mastering these five simple keys® will lead to great golf. Plans are currently for the DVD to land in early March , though that date may or may not slip a little. We announced the DVD at a press conference on Tuesday. I'll have more details on the DVDs later, but there are lots of plans to have web content, a forum specifically for Five Simple Keys® students, and more supporting material. We've got an expanding line of affordable training aids that may even be color coded to match the specific keys which will allow students to continue to properly work on achieving these keys themselves. My role in the "Five Simple Keys®" universe is simple. 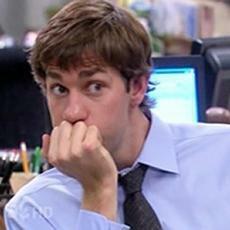 I'm the Director of Instructor Certification. I'm currently (and have been) in the process of putting together a certification process, including a training manual for instructors. The training and certification is a multi-step process including not only "book knowledge" and a deep understanding of the golf swing but an in-person observation of their teaching skills and communication abilities. In the end we'll have a network of instructors spaced around the country to reach as many golfers as we can. The Five Simple Keys® will be promoted via a multi-million-dollar campaign on Golf Channel, and golfers around the country and the world will want to visit the 5SK Instructor closes to them. We will launch and quickly get to 10-20 instructors, and will have as many as 100 around the country and several more around the world. The keys themselves? Here's a cool piece. Golfers will be able to earn the keys to hang from their golf bags from a certified Five Simple Keys® instructor when they can explain and demonstrate their competence at one of the five keys. For many, they'll go in order, earning the first key, the second key, the third key, and so on. 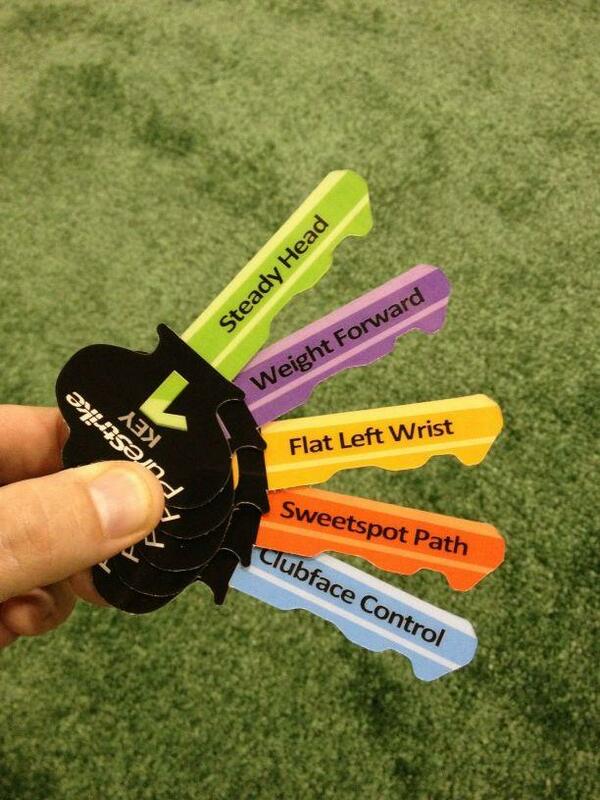 These keys are designed to hang from the golf bag and will serve as bragging points among golfers. The more keys you've earned, the better the golfer you're guaranteed to be. Mike McLoughlin is involved as well. He'll be Director of Online Lessons and will manage what you could call "evolvr 2.0." The details are still being worked out, but essentially golfers will be able to sign up for an evolvr-like online lessons system if they live too far away from a 5SK instructor. They'll get the same great instruction at a reasonable price. He will manage that system to make sure that analyses come quickly and students are getting that tremendous value. We're super excited for this to be public news . We've been thinking about ways to make the golf swing easier to understand, easier to teach, and easier to grasp and we think we've found it. 5SK is not tied to any particular "method" and leaves plenty of room for every golfer to have their own quirks and unique pieces - but whether you're Jim Furyk or Tiger Woods or Luke Donald or Ben Hogan or Jack Nicklaus, you must achieve the five simple keys® to play great golf. 5SK will allow us, and our network of instructors, to find the best swing for you to achieve the five simple keys®, within the bounds of what's comfortable, efficient, and possible for each individual. This is a pretty awesome! I'm in! Can I have a sash and a merit badge for my keys? What do you anticipate the prerequisite to be for potential instructors? With the flat left wrist that only relates to impact correct? Or throughout the swing i.e. top of backswing. Congratulations Dave, Erik and Mike! You're great guys with great skills and you're going to do great. Oooooffff! As a (nominally) current student, can I ask what this means for Golf Evolution, Evolvr 1.0 and your position within the general S&T-ish; circle of information? TBD. Quite frankly, though, we're looking for the best instructors in their area that want to be involved. Yes, at impact. 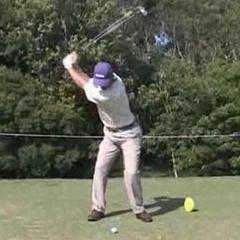 Plenty of great golfers have cupped or bowed wrists at the top of the backswing. Golf Evolution is the name of our group of teachers or, perhaps, our "location" or building or whatever. No changes there. Evolvr 1.0 we may evaluate. Maybe we'll keep current students on and the last one out can turn off the lights. Not sure. Our position remains unchanged. We learned and improved what we teach based on some S&T; ideas, but have continued to "evolve" in how and what we teach, and will continue to do so. I've been working on a few of these things so it's nice to know weight forward, a steady head, and a solid impact position are keys in the new path forward. Count me in for Evolvr 2.0! Here's a vote for a Boston based instructor. This sounds great-good luck with it! Go Pats!!!!!! Looks like a winner! I was working on that steady head today! Wow, looks like some really awesome stuff! Congrats, sounds like a great opportunity for you and for golfers looking to improve their game. Best of luck. Sign me up. Sweet spot path is so hawt. Nice! I'd like to get hooked up with a 5SK instructor here in Socal. Please let me know who that will be. I'll echo the "this is really cool" sentiments here. When I saw the icon, I thought I had missed something important (and I'm sure I did) during my absence. I can't wait to see how this turns out. Quick question. Is Medicus Golf involved in 5SK?